You are not adult enough to drive a real car, but you can have a try driving a gold cart. Make sure you leave no scratches after the parking. Get points for your successful parking and make sure you leave no scratches on the vehicle. 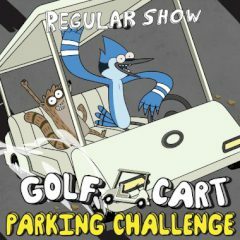 Use the arrow keys to control a cart and drive it straight onto the parking lot. Time does matter so you need to do everything in time!